Under Chinese law many(?) cosmetic companies require animal testing, where La Mer's parent company manufactures products, thus PETA has now moved all 27 companies owned by Estée Lauder on their 'do test' list. Quite simply: La Mer doesn't test on animals, and none of La Mer's products are made in China (look at your products - use this guide). 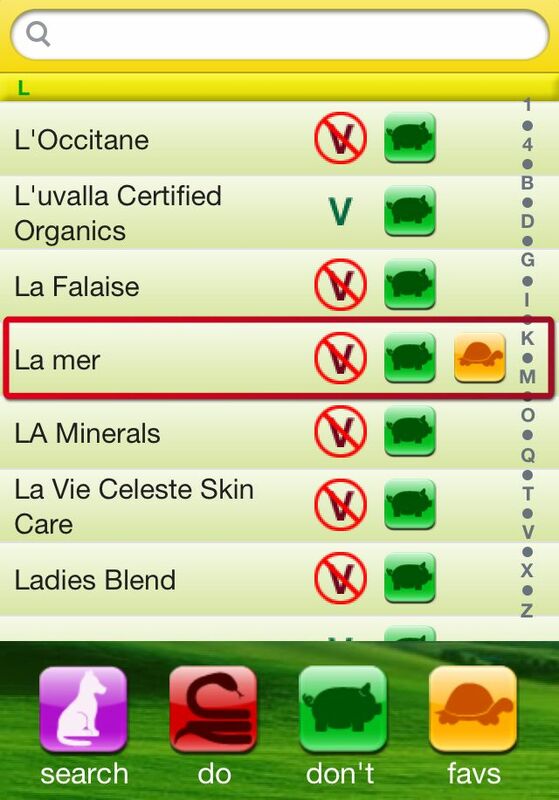 The PETA Be Nice to Bunnies App still lists La Mer as a company that does not test on animals (picture). "Our longstanding commitment to end animal testing has not changed: we do not test our products or ingredients on animals, nor do we ask others to test on our behalf" and "We are proud of our role in the great progress that has been made in eliminating animal testing around the world". The Estée Lauder Companies also contributes funds to the Institute for In Vitro Sciences (IIVS), (non -animal testing sciences), which is also a cause that PETA supports! PETA? I can only conclude that PETA might be looking for sensationalist attention, rather than factual reporting on La Mer? For shame PETA! Thank you so much for this reporting. It is a great service to us all who care about animal testing and veracity. It means, that if La Mer is sold in China, it has to be by law tested on animals there. 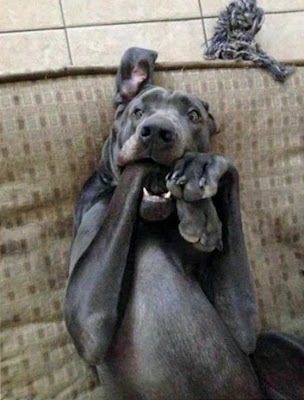 That is the reason why Peta put them on to do list. Any company that sells their cosmetic products on Chinese grounds has to test the products on animals to comply with their safety and health standards. While La Mer sells everywhere in the world products, that are cruelty free, China is a whole different story. While trying to find a definitive answer, I read that in 2012 Estee Lauder (La Mer's parent company) resumed animal testing after a long moratorium against it, in order to sell their products in China. I love La Mer products, but cannot purchase anything that contributes to animal testing. I would hope that EL would take a stand and put animal welfare above profit margins and refuse to sell their products in countries that require animal testing. That is how laws are changed. In the meantime, I will stop purchasing La Mer for myself and family members. If La Mer wants to declare itself cruelty free, it has to pull its products from the Chinese market, as testing is required in China. By saying that La Mer doesn't test or ask anyone else to test their products on animals, La Mer is using extremely deceptive language to distract from the fact that, by continuing to sell its products in China, it is consenting to having its products tested on animals. Agreed....Plus La Mer is owned by Estee Lauder...which does animal test, so why put money in their pockets by purchasing La Mer. The same thing happened with The Body Shop for me. They were purchased by LOreal, who animal tests, so no more Body Shop for me. You cannot be kind of against animal testing. I think that products made in China don't have to be tested on animals, but if they are being sold in China they have to test the products on animals. Many brands make the difficult decision to not sell in mainland china as not to comprise their animal testing policies. It just depends on whether or not you are comfortable with a company who is choosing to sell in mainland china and accepting the animal testing even if they themselves did not test on animal to create the product. Personally, I admire companies that forgo profits to stay 100% cruelty free. I would recommend Tatcha as an alternative to La Mer. Actually under certain circumstances cosmentic products can be imported to china without animal testing. However china can and does pull products off the shelves in stores and then tests them on animals.